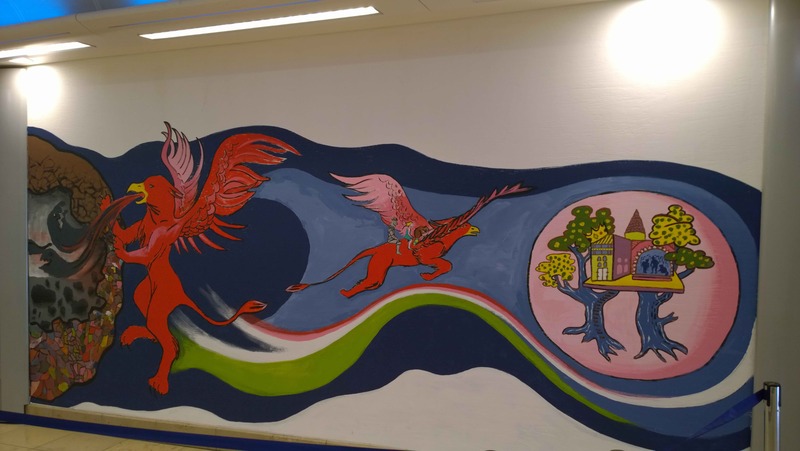 Autumn 2014 I worked with Uxbridge Young Carers to create a mural for the Intu shopping mall in the centre of the town. Over several workshops we developed a narrative image to tell a story they had written collectively, entitled “Escape from Shadowlands”. 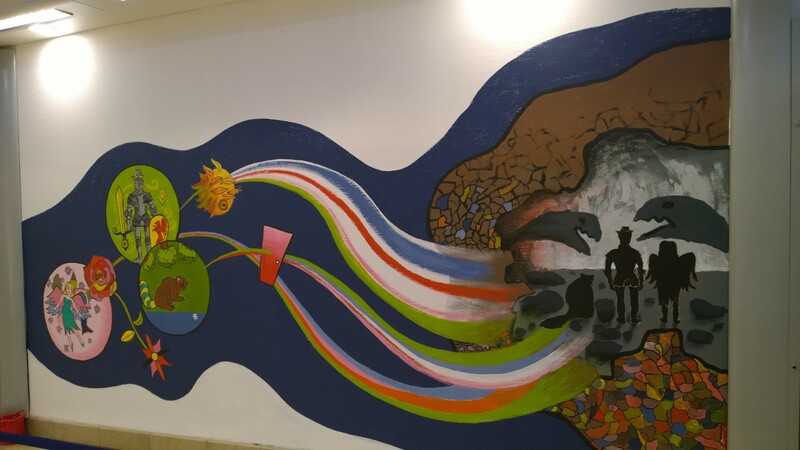 The entire team of carers, of ages ranging from 11-20 years old, collaborated with me to paint the design on the wall. The image is over 12 metres long.